Not sure what items you have checked out or when they're due? Want to see if you owe any fines? You can access your library account online at any time! Due dates will be stamped in borrowed items, but if you've renewed the items online, over the phone, or in person with just your library card, the dates might have changed. To find the current due dates, select "Checkouts" and look under the "Date due" column for each item. Be sure to return or renew items before the due dates. Remember, overdue notices are sent to your student e-mail (or the e-mail address on file if you don't have a JSCC student e-mail account). Items borrowed from outside our system (that is, from any institution other than a CCLINC library) will not be listed when you log on to your library account. Pay attention to due dates stamped on these items – any renewal requests must be made directly to a library staff member. Overdue fines owed on these ILLs won't appear in your account summary. Learn more about interlibrary loan. Questions?  Visit the Boyette Building, call us during business hours at (910) 275-6330, or e-mail us (jscclibrary@jamessprunt.edu). 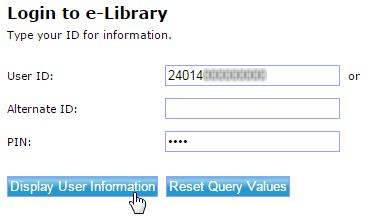 If you see three asterisks (***) next to your name when you log into your account, there is a hold on your record. you owe more than $5 in fines. Review your account and contact the library staff to resolve any issues that may prevent you from registering for classes, receiving your grades, requesting transcripts, or graduating.